BCEF board members were invited to BPS and BIS on Friday, December 7 to experience first-hand the dramatic changes that have taken place in the first and third grade classrooms that received funding through the recent $30,000 flexible learning spaces grant awarded to the schools through the education foundation. By visiting different rooms, BCEF board members were able to see how each teacher was able to choose the pieces that appealed to them. 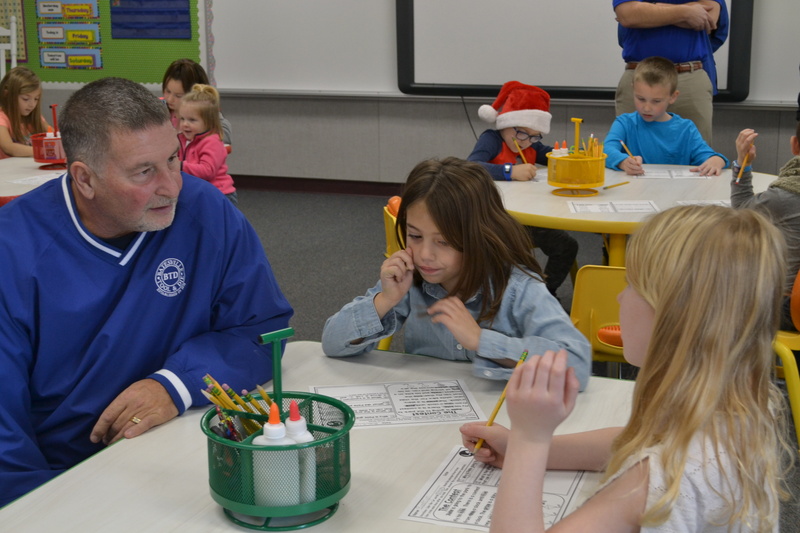 BCEF board member Lance Green chats with student in Ashley Boyce’s classroom about their new flexible learning space. 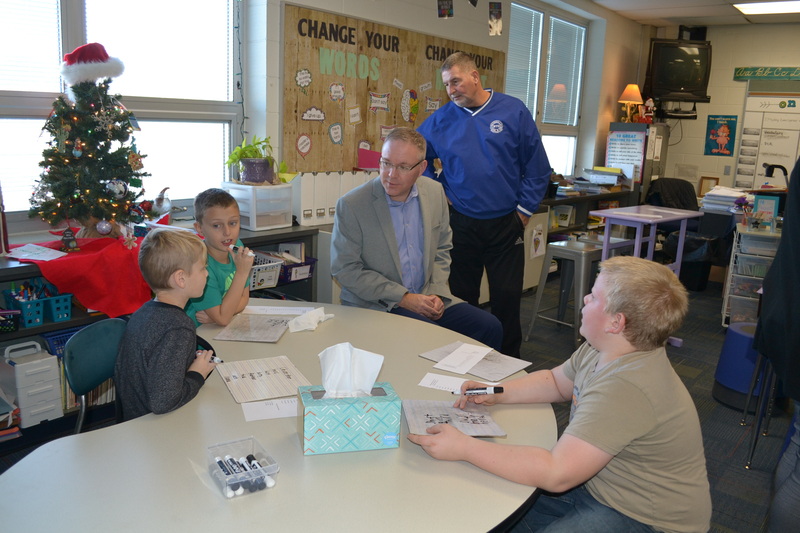 BCSC Superintendent Paul Ketcham and BCEF board member Lance Green find out why these students chose this workspace from among the many option offered in their classroom. The BCEF board visited the classrooms not only to see their grant money in action, but to evaluate whether the flexible learning spaces program should continue as the foundation’s signature project.